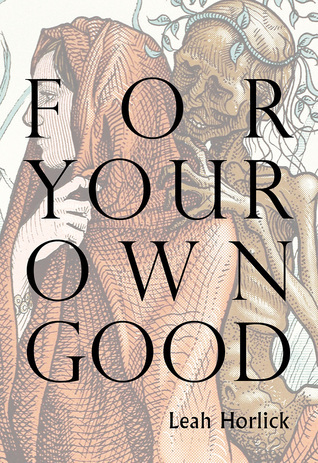 For Your Own Good by Leah Horlick is full of the kind of writing that inspires superlatives. It’s one of the best books of poetry I’ve ever read, a genuinely important, incredibly powerful book that has stirred awe in a lot of readers, me included. This is not because For Your Own Good is in itself prone to any grandiose gestures or excess, but for the reason that it is truly a near-perfect, devastating collection of poetry. I do not say devastating lightly. These poems are about an abusive lesbian relationship, violence in a supposedly safe queer space. There is plenty of triggering material: racism, colonialism, physical, sexual, and emotional abuse. But there’s a lot more than that, too. The poems follow a kind of trajectory, moving from misunderstanding to healing, sometimes back and forth. What I loved was how Horlick speaks from a calm, present moment to her past self. She is gentle, kind, while possessed by a quiet strength, honesty, and poise. As if she’s tenderly whispering, it’s okay. for a light, a flicker, calliope in the grass. at your own hand. You left to find them. coined with raisins, your skin is the colour of cinnamon. You are food. tells me a very old story. on the bus, on the beach, or in my new kitchen. quartz the size of my thumb for safety. Thanks for trusting us with your story Leah. Thanks for sending these poems out into the world. 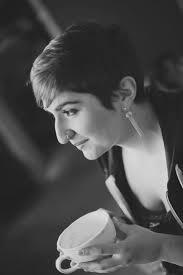 This entry was posted in Jewish, Lesbian, Poetry, Queer, Saskatchewan, Saskatoon, Vancouver and tagged abuse, Canadian Literature, Canadian poetry, Canadian Queer. Bookmark the permalink. So there’s this. Go take a look.